Are you looking for a metal circle? You are at the right place. We at MetalsCut4U can help you with your project. What we need from you is the metal type and the size of your circle, the rest is our job. What are Sheet Metal Circles? 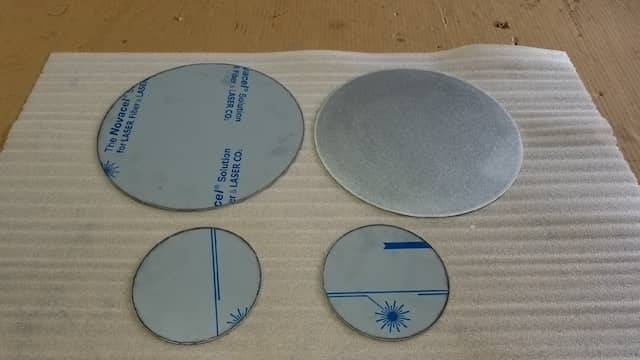 You can cut an irregularly shaped metal sheet in the form of a circle. Technically, a circle is a two dimensional shape, it has its edge equidistant from its center which is known as its circumference. 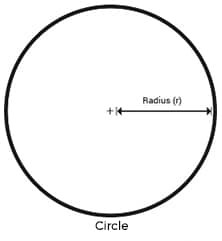 The distance between the center point of the circle and a point on the boundary is known as radius. The line drawn from a spot on the circumference to another which is passing through its center is defined as its diameter. The length of a diameter is twice that of the radius. How to configure your custom fabricated metal circle online? you already have fulfilled 3 out of the 4 easy steps to configure your sheet metal circle. In the 4 step you choose the circle to be configured. 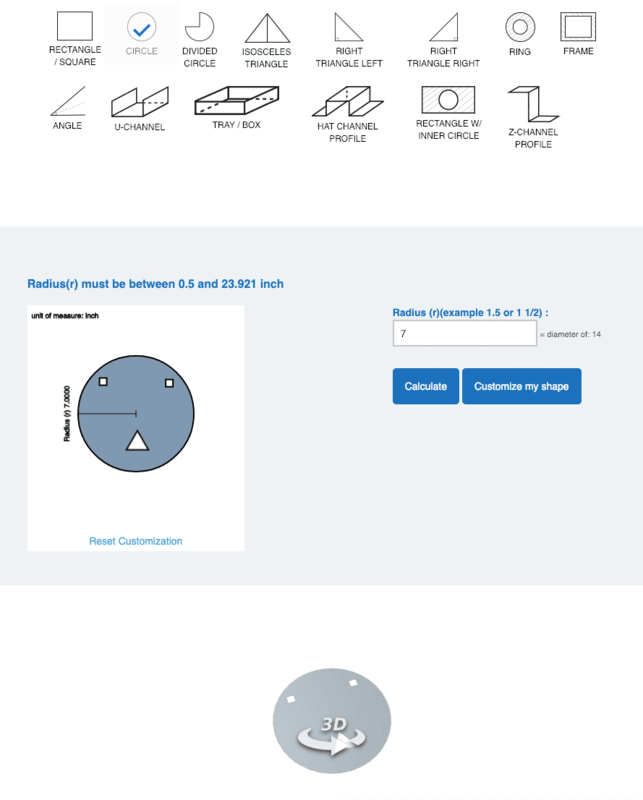 The sheet metal calculator will give you a price for your custom cut metal circle including the options you have chosen. Why Laser Cut a Metal Circle? Laser cutting is one of the most elegant methods to get round metal circles. A highly focused laser beam is directed on the material according to the specified shape. It is quick and gives a smooth edge with the accuracy in the range of less then a millimeter. We are a pioneer in this field and are serving many happy customers supporting their projects with custom cut metal circles. The method to order for a metal circle is straightforward, and quality work is always assured.